Toshiba has announced that it will be the exclusive sponsor of the countdown official in the always bustling Times Square New York, scene of the much-anticipated feast to welcome the new year, in which 32.256 Philips LEDs illuminate the iconic sphere that It descends to celebrate the beginning of 2013. If the clock is approaching midnight on December 31, the whole world will put his eyes in New York to see the famous descent of the sphere and celebrate the beginning of the new year. 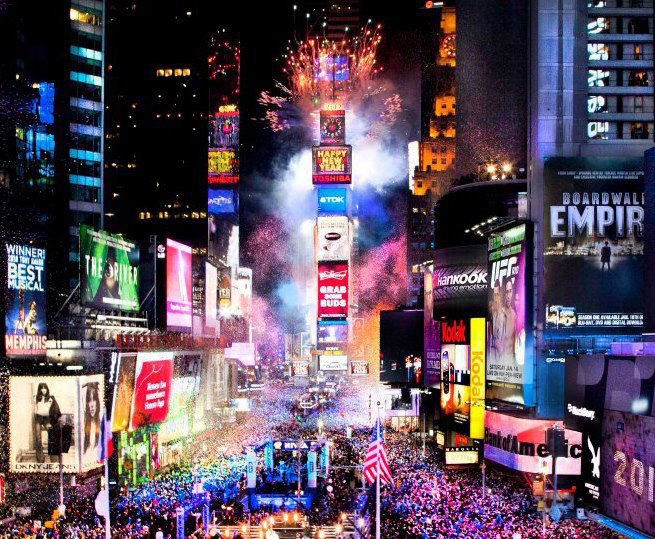 On 31 December, Times Square is filled with life with a million people that dress in the Big Apple streets and welcome the new year, and since 2007, Toshiba illuminates this emblematic location and offers the expected countdown that welcomes you in the new year. All eyes will be on the Jumbotron LED located on top of One Times Square, the Toshiba Vision, which will supply countdown to the world. In addition to counting down 60 seconds, Toshiba Vision also displayed the countdown per hour and musical live performances and other events, as well as some animation special, created in collaboration with NASA. Through this event, the mark of the Japanese manufacturer will be extended worldwide, increasing even more recognition. Moreover, the use of the unique features of One Times Square Billboard LED not only displays products and the corporate message from Toshiba, but it will also provide Christmas content for the whole world. The Toshiba Vision is located just below the iconic sphere of new year in Times Square, the world-famous the time ball which is located on the building and that descends during the count down new year's Eve. Philips He is responsible for illuminating it with 32.256 LEDs. 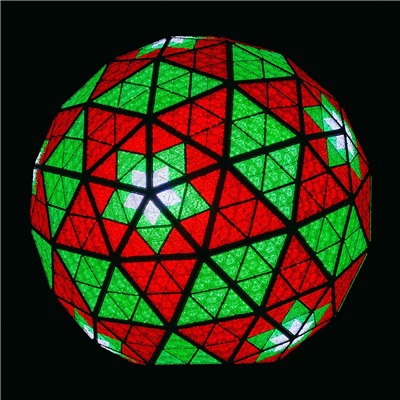 2013 is the tenth third consecutive year that the Dutch firm is official provider of the iconic ball lighting. The lighting LED in Times Square shows the latest innovations in lighting technology and the introduction of a new era in the sector which brings energy savings, increased quality of light and longer service life of light bulbs. Ed Crawford, CEO of lamps and Philips controls, stated: "Times Square ball is an icon in the world, but most important is a real example of how innovation can improve the lives of people creating a more sustainable community." Whereas our 13 anniversary, at Philips, we know that it will bring us luck in the development of significant innovations. Thanks to our focus and effort, we continue to expand our portfolio and enabling more consumers to join in the use of LED technology in their homes."